Be strong in the Lord and in his great power. Put on the full armor of God so that you can fight against the devil’s tricks. Our fight is not against people on earth but against the rulers and authorities and the powers of the world’s darkness, against the spiritual powers of evil in heavenly world. I have to admit that sometimes I can get extremely hurt and angry when I hear people treating my faith as a Catholic like we are heathens. 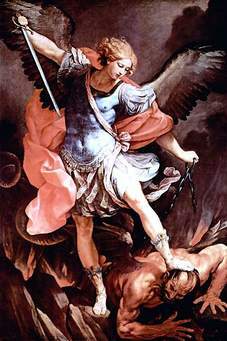 I realise that the fight is not between people but rather we are fighting the devil and the fallen angel’s influences on us and the world. So being angry with people is actually falling in the trap the devil is setting up for me. Not only to do me harm but everybody else who has a taste of my anger. All Christians if we listen to the loving words of Our Lord will be reconciled with Him. If we forgive others only then are we forgiven ourselves. It is a truth we can’t run away from. The problem I see in this world, people insist on living in a fantasy where they make their own rules and think they can get away with it. If you put your hand on a hot stove, your hand will burn, it is a fact of life. It saddens me to see people will refuse to believe in God and will not even try to obey His commandments and think there will be no negative results. There is a hell and too many people are going there minute by minute, forever. Christians included. I remember I did a very stupid thing when I was about the age of eight years old. I use to visit a friend’s place. She lived opposite to a very old and run down cemetery. I seem to always come home at dusk and passing the cemetery at that time use to scare me. I suppose out of fear, I dared the most evil spirit to chase me down the block. I hadn’t even finished the dare and a very evil spirit was behind me. I looked up to God for help and saw a very small white cloud on top of me and it was moving towards the end of the block so I raced after it. I was using the cloud as a focus point to communicate to God. I remember saying to God you can forget the fire and brimstone in hell, just being with this one demon for eternity is a hell I would not be able to endure. When I finally got to the end of the block, all the clouds became alive and I could see that the angles and saints in heaven were jumping up and down with joy of my escape. If that one demon was too much to bear, think of all the trillions of demons we would have to live with for ever, tormenting us because we were too proud to accept the teachings of Jesus Christ and obey Him. That is where so many people are going. I think to myself all the beautiful things God has given us, the sun, moon, the earth and each other and yet we chose to worship ourselves and then lose everything and a whole lot more that He is willing to give us in heaven. I believe God has put a very strong calling in me to educate what Catholics actually believe in. I do believe many people really think they know what Catholics believe in but have been wrongly educated by well-meaning Christians, causing unnecessary sorrow to many people. A good idea is to try to put yourself in the person’s shoes that you are questioning. Human’s beings tend to rush in and judge others without getting the facts. Most of the time we judge people from wrong information. In Psalms I think it says people judge by outward appearances. God looks into people’s hearts. He knows everything and He is the only one qualified to judge anybody. And He is so merciful unlike the human race. There are many good Christians out there that do love one another, despite what church you go to. I believe they are the mature Christians that lead people to Christ. Those who still are acting like little children, fighting amongst themselves are not leading people to Christ, but in fact are doing the opposite. Jesus said we will show people of the world that we are His true disciples by the way we love one another. Also loving our enemies is a very difficult thing when we let our human nature get in the way. People of the world don’t love their enemies. it is something that they do not understand about Christians, but at the same time it attracts them and then they start asking questions, hopefully to God. Many have converted because of this unique feature of the Christian faith. It is no small deal to love one another as Jesus loves us. It wins souls like no other way. The faith he is talking about is not faith in your faith, rather faith in the love of Jesus has for you and that He has truly paid the price to free you from your sins, curses and other evil circumstance. In this article I am using my own experience to help me explain to you how you might be able to deliver yourself from demons. They say it is best to get somebody experienced in deliverance to delivery you first and then you will be better be able to continue from there. They say that the born again Christians all have the ability to do it. If you are not born again you will need to go to an experience person who can do this. And before you can be delivered you have to repent and hand your life over to Jesus. People are often too afraid to think or talk about demons as if they are bigger than God. I had recently a wonderful experience which the Lord blessed me. I could see that we are so tiny before God. If it was us looking from His place, we would not be able to see ourselves at all! We are that tiny. And then a thought came to me that Satan is just a speck before God. With that I felt Satan’s presence straight away and he was so angry with me, because it was a truth that he could no longer hide from me. People are too afraid to combat demons. You might hear people say it is written in the bible, to flee from Satan. If you are going to fight the good fight how can you run from Satan. The more you are in love with God, the more Satan follows you and tries to bully you into thinking he can’t be beaten. Satan has power over you, if you are too afraid of him to fight him in Jesus’s name. There are people who are too keen to fight him and that comes out of pride. But if you are minding your own business and then he shows up, you have to take a stand. You have to believe Jesus is all for you and has the power, the means and the will to protect you. I had an interesting experience not that long ago. I have been learning how to cast out demons in Jesus’s name for about a year now and was starting to grow more confident in that area. When just out of the blew, I looked down on my finger that I use to wear my favourite ring on. There was a huge wart appearing and I could see a demon in it and he was so angry with me. I knew he had chosen to put a wart on that finger, to get back at me for casting out some demons. I had been casting out demons like restlessness, stress things like that in Jesus’s name, but never for healing. So this was new challenge for me. I called out Jesus’s name a few times, while looking at the wart, at least two times it was invisible and then came back again. I knew God was telling me if you only believe in me,I would get rid of the whole wart in an instant. Well my faith wasn’t that strong. I called on Jesus’s name the next day over the wart and it took a little while say roughly four to six days before it went, completely away. When I started to deliver myself from demons in Jesus’s name, which was about a year ago, I found it is no way frightening. I have had frightening demons attacks before many years ago, so I know they can be terrify when they wage war on you. But at that time I did not know how to bind them. I just kept praying the ‘Hail Mary’s ‘prayers and eventually God would put another prayer in my head and then I would say it and it usually got rid of the demon. I believe it was meant to be that way in those days, to expiate sin. 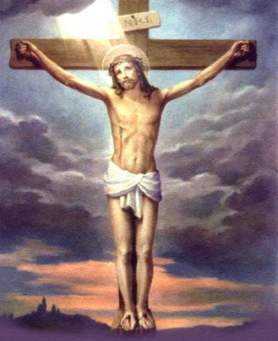 Catholics believe sometimes God wants us to suffer with His Son so that more grace will be sent out to the world. The thing is Jesus has paid the full price of our redemption, but not everybody is willing to receive it. So God wants us to share a little of Jesus suffering, so as to give them more grace in the hope they will receive it this time. Our suffering is useless if we do not unite it with Jesus’s suffering. I remember for example once I was being attack and for some unknown reason I stopped praying and I could see the demon, he could not believe in his luck and straight away I felt his claws go straight in and through me. I then quickly started praying ‘The Hail Mary prayers’ again and when I finish saying my prayer the claws went straight out. Mary’s prayers are powerful, they are not to be underestimated. I have three books in my possessions that have really helped me, understand more about self-deliverance. The very first time I tried to deliver myself, I used a book that came with four CD’s explaining deliverance. So when the person explained it all, it was now turn to start praying for deliverance. I was not sure what was going to happen. If it would work or not, because I have tried to cast out demons before awhile back and it did not work. To my surprise after repeating what he said, demons did go. Not all the demons in me have gone, but I was amaze that any left me at all. Notice I did not have much faith. But the faith I did possess was in the love of God had for me. There are many and many Christians, who do not believe Christians can be troubled by demons living inside them. But just think for one moment. What are demons? When a person is casting out demons they might say things like. ‘ I cast out the demon of pride or bitterness or addictions or lust or lying spirt etc.’ The list goes on and on. Now have a real good look inside of you, what demons do you have? Be honest. We all have them. The church stopped preaching about demons, because people would say things like ‘it was the demon that made me do it.’ We are all called to fight the good fight, there is nobody exempt from it. If you do not fight, those demons are going to make your life very difficult to endure and might end your life prematurely. It is not God’s will that we should be a slave to demons, we are all called to be free in Christ Jesus. In one of the books he believes delivering yourself from demons is an ongoing exercise. I have read, demons may leave the body through coughing, yawning or crying, I think there are probably other ways too, but this is a good start. When the demons left me the first time around it was coughing. I tried it another day and I was crying and I had great difficulty repeating the words after him, because I was crying so much. In other words Jesus was casting the demons out before I could finish asking Him to do so. I now notice if you have a thought that really affects your heart in praising God, that will also releases God power to remove the demon. I think everybody has to find their own way, but through the help of these three books I found a way that has worked for me. My biggest problem at first was hearing everybody saying, you have to have faith, before any miracles can happen. My question was always how do you get this faith? I found praising God and letting yourself go and be a child again is the best way to grow in faith. Because more times than not God will respond to you in a supernatural way, to reveal something to you. When you praise Him, just because you love Him, not because you want to get something from Him. Really has a strong affect on God. Just put ourselves in His place, we hate being used, so does God. I find when after you just cast out the demons in the name of Jesus. You exhale and it then starts the ball rolling for some reason. You find you may cough, cry or yawn is a good sign they have left. Demon are like gangs. More likely than not you will have to cast out many demons. It is hard work and some people’s faith is stronger than others. Some people call out the chief demon, (the top dog). If you can do that all the demons under him will leave instantly, after their leader. The next step is to keep them out. With me they try to bring doubt into me that they have indeed left or that it is easy for them to come back in again. I believe everybody will have their own method in keeping them out, but keeping your eyes on the glory of God and His power and love for you is important. After a few months of this, one day it just dawn on me, the demons can’t get in without my say so. They can bully or they like but they simply can’t get in without my permission, I was looking at my favourite picture of Jesus at the time, and Jesus materialised in the Spirit and told me it was correct, they can’t get in unless I let them. I found you can also just rebuke them in Jesus name and they go.